A very good game between two evenly matched teams was palyed this evening in what was monsoon conditions. 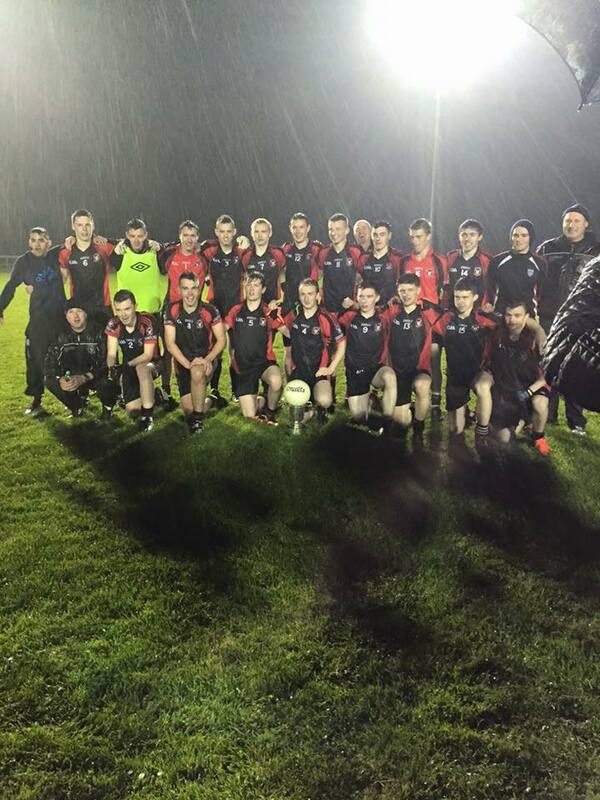 The rain that has fallen all day got worse as the game threw in under lights at the Connacht Centre of Excellence in Bekan. Charlestown started the game straight out of the blocks and were a point up in the first minute which was soon followed by a second. After four minutes Johnny Burke got our first score from a free won by himself and this was soon followed by a second from Sean Prendergast. Jonathan Giblin knocked over a ball to give Charlestown the lead once again before James Devaney scored a great point from out on the right to level the game and Joshua Smith from the dead ball gave us the lead for the first time. After thirteen minutes Charlestown had the ball in the back of the net and they quickly followed with two points to leave them leading by four. A lot of chances had come our way in the first half but were not put away, yet the game was evenly poised. Ryan Convey got the second half off to a great start with a point in the first minute but the game then entered a quiet time and there was no score for the next ten minutes until Charlestown scored a free. We then took a foothold in the game and rattled off the next four points to take the lead, points from Johnny Burke (F), Shane Fallon, Johnny Burke again with a great run by himself breaking countless tackles to level the game and then a fine point from Jamie Carney to put us one ahead. Midway through the half and we were in control but this is a good Charlestown side and they leveled the game from a free after 18 minutes. An attempt at a point from Johnny Burke landed in the hands of James Devaney and he made sure with a nice point. The turning point in the match then came with a great save from Jonathan Giblin but Charlestown soon had the game level with another free. For a game played in terrible wet conditions it was a fine spectacle and a credit to all the players involved on both teams. Its been a few years but the Michael Durkin cup rests in Swinford tonight. Well done to all the players and management. 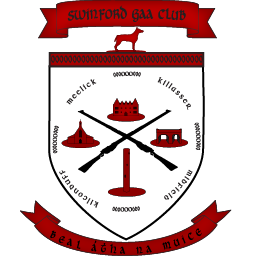 Swinford: Burke 0-5, Devaney 1-2, Fallon 0-2, Prendergast, Smith, Convey, Carney 0-1 each. Thanks to Ann Molloy for the picture.